This is an incredibly sweet story for families with new little ones on the way to share. Little Cub is anxiously awaiting her new little sibling- the key word is anxious. The author does a wonderful job of answering the questions that most young children ask, "Will I like the new baby?" "Why are we having another baby?" "Am I still important to you?" This book is ideal for young readers to read along side a parent and a great tool to use for conversation about a new addition to the family. The illustrations in this book are bright (without looking clownish) and have a soft look. The book is a very sturdy hardback with no book jacket. The pages are sturdy, but not like a board book. 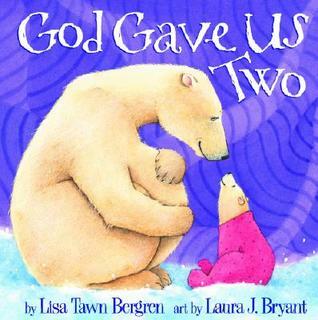 If you are a fan of Lisa T. Bergren's young adult and adult offerings, I would highly recommend adding her children's books to your family's bookshelves. She is an incredibly talented writer who has the unique ability to write for any age with skill and ease.